There is a solicitation for Mid-Life Improvements for Heritage Division Garage. The obvious snark is is that since the garage was built in the 1920s (with an addition in 1985), are they going for another 90 years? And subsequently it disappeared. No longer on the Active/In Process list. There is a solicitation for Pace Northwest Division Replace Multi- Vehicle Lifts. Looks like they aren't moving soon. Tribune story on dead construction projects at state universities may have the explanation on why we don't see any South Campus and Metra is complaining about lack of capital funds. The bottom line is that Gov. Quinn's Illinois Jobs Now authorized a certain level of bonds, then not all the bonds could be sold because the taxes, such as on video gaming, did not generate enough revenue to cover them, and the authorizations have run their course. On the transit side, the state may have sold enough bonds to cover the Red Line South, 160 Metra cars and a couple of stations, and 91 Pace CNG buses, but nothing else. 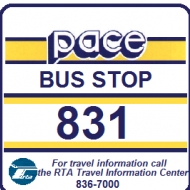 Strange... Pace is advertising "Release of IFB Coming Soon", and 417960 Heritage Division Bus Garage Mid-Life Improvements is back on that. 417953 West Division Bus Garage Mid-Life Improvements is also listed. A new thing on the pacebus.com site is a page for Anticipated Procurement Opportunities. Of note in the current one is that the Heritage improvements have been "reduced in scope" to mainly mechanical upgrades, and the West ones include similar upgrades and remodeling, but nothing like at South. There is also an entry for mid life improvements at South Holland, so it looks like the South Campus plan is dead. May board meeting video at about 15:00: State funding suddenly appeared for South Campus and Joliet TC. According to the June Board video, they got a $27 million state grant for the South Campus, which is supposed to go on the land to the west of South Garage where the dead lot now is. And Plainfield garage is opening this month. Not a garage, but a parking lot. For what I was looking on the October Board Meeting Agenda wasn't there, but there is an executive session item for board action relating to real estate at 1600 S. Wolf Road, Wheeling IL (just south of Old Willow Rd). Another attempt to purchase a site for a new NW garage? Apparently, they just had a layoff seminar over the summer and I can't imagine holding one of those unless you had or are about to have a layoff. Easier for Pace to buy the property at that point? I'm a little ootl about how these things work. Usually the way things work, vacant property is put on sale and is available for purchase. 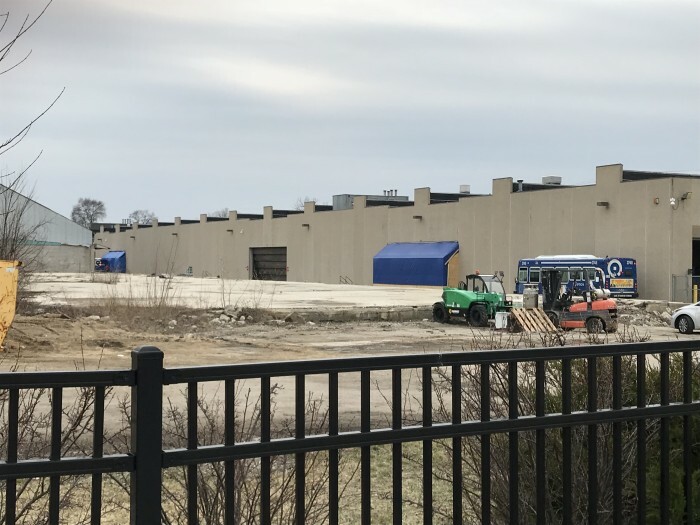 However, given the amount of vacant industrial property in Maine, Wheeling, and Elk Grove townships, I don't know why Pace has been screwing around with this for about 4 years. Operations wise, this doesn't hit me as such a great location, especially if the I-90 operations are to be consolidated with it (East Dundee is just a rented truck terminal). The existing garage was at least near the Des Plaines and Rosemont pulse points. Another example of Pace not being transparent. The agenda says to reconvene after the Executive Session, but the video ends with a vote to go into executive session and a bunch of shots of the logo on the back wall, but no return. Only hint is that TJ Ross said during his retirement remarks that hopefully we will do something today about locating the Northwest Division. Some construction seems to have started at Heritage. Two of the three side doors are covered by tarps.